Students should be in uniform, display their Identity Cards prominently and maintain personal cleanliness and hygiene at all times. A wrist watch with a minute hand is also a must along with necessary pocket items. 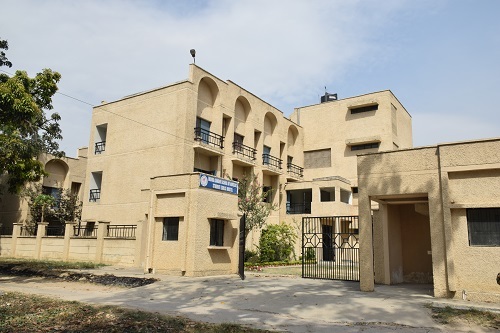 The set of Rules and Regulations for hostel accommodation will be handed over to the students on admission, however, students are particularly urged to refrain from keeping valuables, jewelry etc. in the premises. In case of damage or loss, the authorities will not be responsible and the Institute management reserves its right to withdraw the Hostel facility in the event of breach of any Hostel rules. 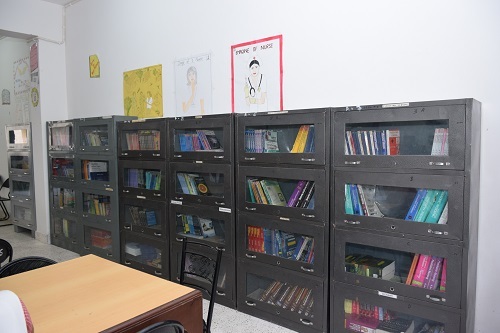 The Library of the school is well-equipped with various medical and general books of foreign and Indian authors, reference books, journals. The library is open from 8.30 am to 4.30 pm daily and is functional during the Holidays too. Students are not allowed to take up or continue any other academic courses or training during their training period in the courses undertaken. Rules and regulations framed by the School, Hospital and the statutory bodies such as UPSMFAC, INC, SNA etc shall also be binding on the students. Students are barred from carrying and/ or using mobile phones in the classroom, clinical areas, library and elsewhere in the Hospital premises during assigned training hours. Those violating this rule are liable to have their phones confiscated. 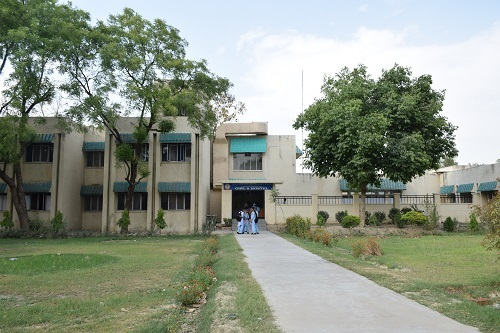 After admission, Mark sheets and Certificates of students will be sent to the respective boards for verification. Those found to be making false or incorrect statements or using fraudulent means for admission, not fulfilling the eligibility requirements, or suppressing vital information will have to face cancellation of admission/ disciplinary action. No refund of fee will be done under any circumstances. It is mandatory for parents of outstation candidates to nominate a local guardian(s) with information of full names, address, telephone number(s), photograph and relation to the student. The prescribed form shall be attested by the parents. Change of local guardian, if any, should be communicated by the parents in writing to the Principal of the school. Parents should take prior permission to meet the Principal. Students breaking any rules and regulations will face disciplinary action and will be liable to pay fine as applicable. Any student found guilty of ragging, causing physical abuse or emotional harassment to other students will be dealt with severe disciplinary action.